I grow lots of leafy green vegetables because they are so productive, nutritious, easy to cultivate, and just plain delicious. An assortment of greens also adds a range of color, new shapes, and interesting textures to the ornamental style edible garden. Unfortunately some of the more popular leafy greens, such as lettuce, spinach, cabbage, and arugula can struggle, turn bitter, or resort to bolting and splitting as temperatures rise. This year I planted a number of uncommon greens that have continued to grow comfortably; even after the summer days turned humid, hot, and steamy! Malva – Maybe you’re familiar with the wild and edible weed called malva or common mallow. It has small, dark green, round shaped leaves and purple to white flowers. This cultivated variety grows much taller and larger in the garden. Domesticated malva has lighter green leaves that are huge in comparison and more succulent than their wild cousins. 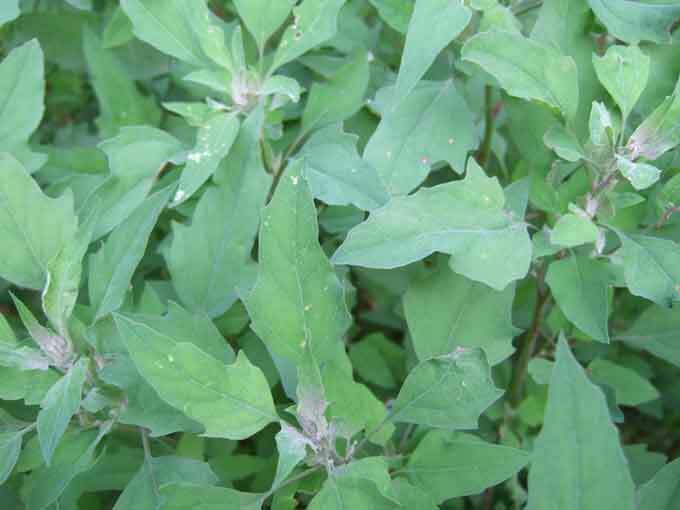 Magentaspreen Goosefoot – Well at least I think that is the variety that I planted this spring. To look at it I don’t see much difference between this plant and the related Lamb’s Quarters weed that I absolutely love to eat! Maybe I had the seed mixed up… regardless it has grown well through the summer months, but I will be sure to harvest this weedy annual before it has a chance go to seed in order to keep it under control. Amaranth – A colorful, attractive, and extremely tall (over 6 foot) upright growing plant, I did allow this one to go to seed in the garden last summer and it has returned on its own, but not uncontrollably so. Amaranth produces loads of edible leaves along with a crown of seeds/grain that is also edible and touted for its nutritional value. 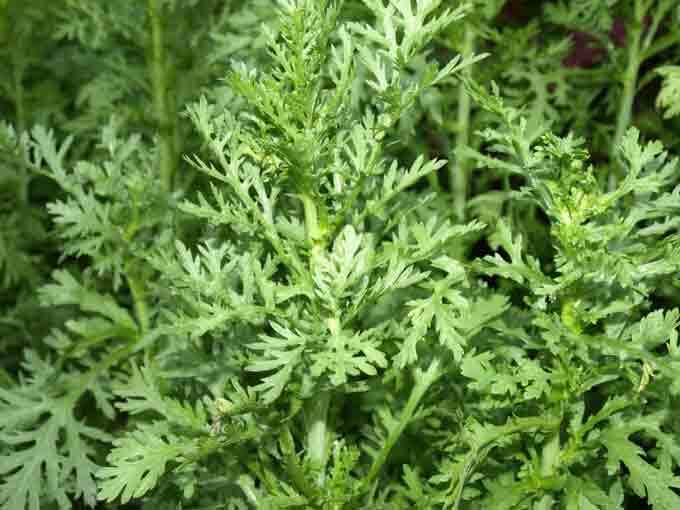 Garland Chrysanthemum – This is an edible variety of chrysanthemum also known as Shingku or Chop Suey Greens. 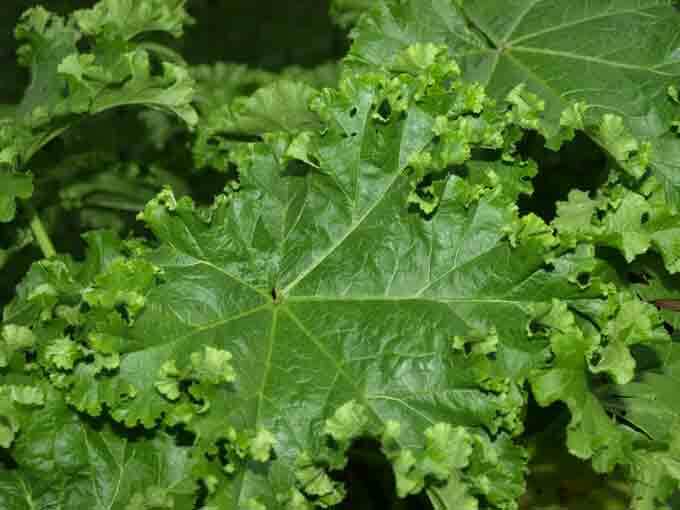 The flowers are edible too, but the greens are best when picked before the plant begins to flower. Steam the leaves, use them in soups and stir fry dishes, or add them to green salads. 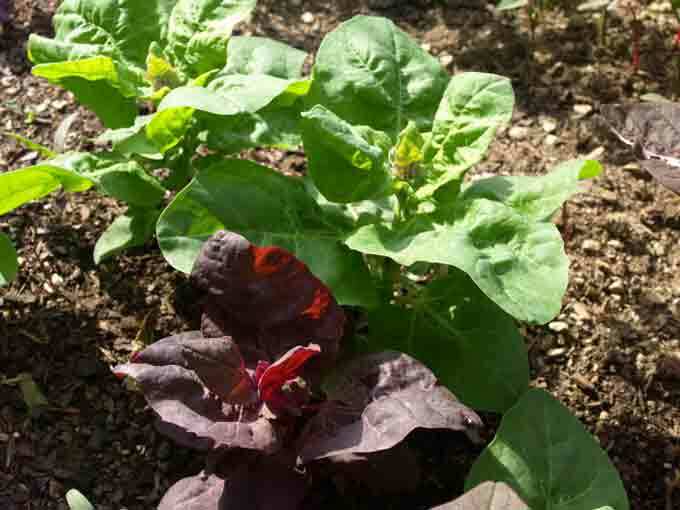 Orach – I’ve been curious about this plant for a while but never tried growing it until this summer. The seeds resemble parsnip seeds and seemed a wee bit reluctant to germinate. The plants are unusual, attractive, and available in various shades and colors. I wasn’t as impressed with this one but it has survived and continued to grow through the summer heat without any special attention. 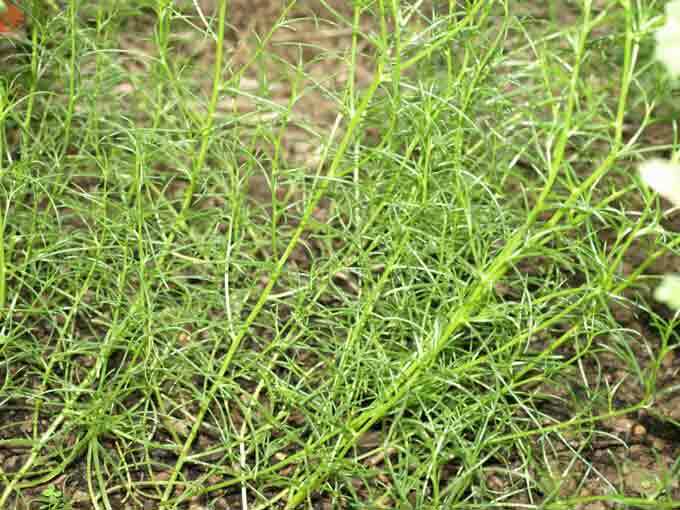 Seaweed Mustard – A rather strange plant; seaweed mustard is promoted as one of the most nutritious of cultivated plants… and it had better be, because there really isn’t much to this one. The frilly, stick-like leaves of this Asian variety of greens are definitely different than anything else growing in the garden but they aren’t exactly going to fill a salad bowl come harvest time. I had hoped to share some photos and impressions of Red Aztec Spinach but the seed apparently failed to germinate, ditto for the Alexanders that I wanted to trial this summer. 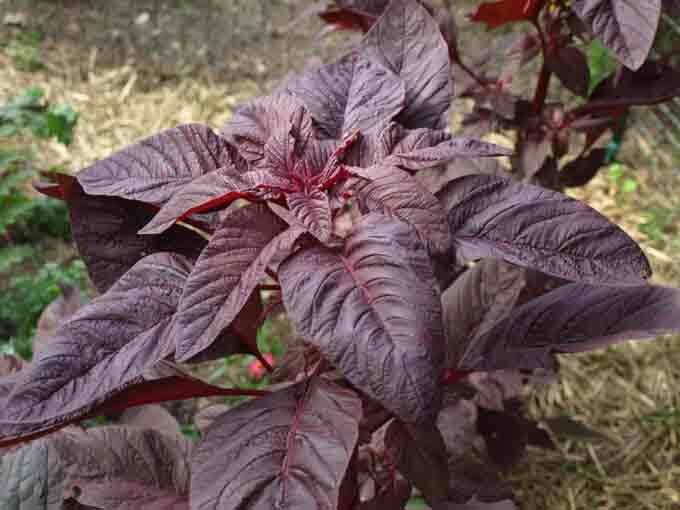 I’ll try again to grow Red Aztec Spinach, which isn’t a spinach at all and displays a growth habit similar to amaranth and a leaf form closer to that of lambs quarter. A couple other varieties of greens that performed well in the garden this summer included an open pollinated Senposai and an Asian Mispoona, both from Fedco Seeds. While you can also always count on Swiss Chards and collards to take the heat and keep on producing there are many other choices that you can add to the rotation for a continuous harvest of home grown summer greens. Great article. You have several that I’ve never even heard of but I would sure like to try. I’m still seeking the grail of home grown tomatoes and fresh greens at the same time. One question though, how do you keep the bugs from munching all those fresh greens? As an organic gardener I have found that to be quite a challenge in the summer time. Hi David, I use Bt to combat caterpillars if necessary but generally don’t have too many problems with insects infesting my leafy greens. I try to keep them healthy, strong, and growing rapidly and that probably helps too. This season even the regulars have been noticeably absent from the garden with the exception of the Japanese Beetles which have been worse than usual but I just hand pick them and that has been adequate. This is a great blog – I am fascinated by the variety of greens that you are growing, well done!! My problem is lack of light for growing veg; the only space I have is too shady and although the seeds sprout they don’t amount to anything. Thanks GM, unfortunately there isn’t much that can be done to compensate for the lack of sunlight. My garden gets more shade than I would like but but there is still enough sunlight for me to grow productive plants. I think that greens are actually one of the more shade tolerant vegetables that you can plant so if they don’t produce for you it may be time to switch to growing edible mushrooms in your backyard! My greens did real well this year. Its really the only thing I will able to eat out of my garden other than herbs and okra. I am thrilled to have red top turnips, collards, mustard greens, gorgeous kale and Swiss chard here in central Mexico! My artichokes are producing to the point of hunting down artichoke eaters. I have a friend in the us bringing me many seed packets in August. May is the hottest and dryest month in these mountains, but my leafy greens are holding up well. I will seed again in June when the rains return. I just came across your blog and find it very helpful. I grow some salad mix this year, I’m wondering if I should have transplant them and space them properly because they seem “leggy”, and some I could even see part of the roots if I hold the plants straight up. Thank you. Hi Trent, are the salad greens planted in full sun? Shade can result in leggy growth. Salad mixes are often planted thickly and harvested by cutting entire sections with scissors and allowing the plants to regrow. The thick patches allow the plants to help support each other and ensure that they all receive their share of sunlight. what is the bt you refer to to fight caterpillers? CJ, Bt is an organic pesticide that is available under different product names and comes in liquid or powder form. Bt is short for Bacillus thuringiensis which should be listed as the active ingredient on Bt products. Bt is a naturally occuring bacteria that targets specific insects such as caterpillars or the larvae of insects such as mosquitoes and gnats. Where can I get some Garland Chrysanthemum seed? I have been looking for it. Previous post: Is There Still Time to Plant Fall Vegetables?